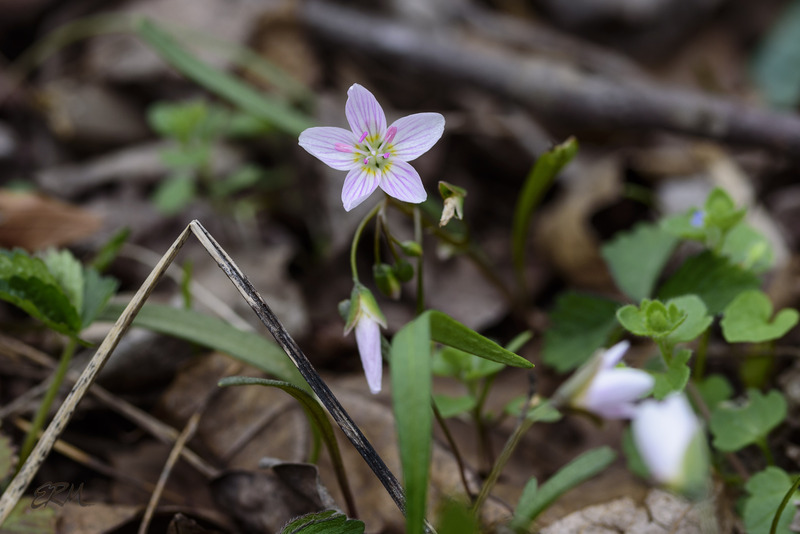 A few days ago a friend reported seeing spring beauty (Claytonia virginica) blooming on the Billy Goat C trail. Damn, that’s early! Think I’ll head out tomorrow and have a look, because it has been literally months since I last photographed a wildflower. Except for this one: trailing arbutus (Epigaea repens), a low-growing evergreen in the Ericaceae. Please forgive the picture quality; it’s a quick iPhone snapshot to remind me to go back and look for it again, because it’s already budding up, and I’ve never seen one in bloom. If I manage to catch it flowering I will of course be writing about it here. Nerd moment: I just realized it’s time to start my 2018 spreadsheet. 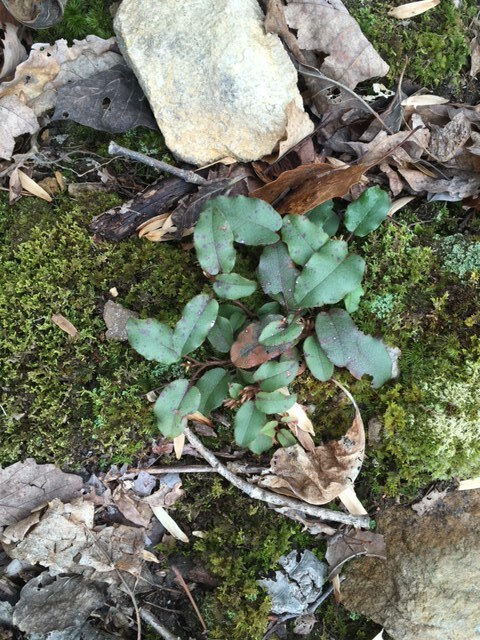 This entry was posted in Uncategorized and tagged Claytonia, Epigaea, Ericaceae, Portulacaceae by elizabeth. Bookmark the permalink. Hello, love your photographs. We are looking for some high resolution images for a few interpretative signs that will be installed in a nature preserve in Piedmont, North Carolina. Would you give us permission to use yours with credit? Thank you!